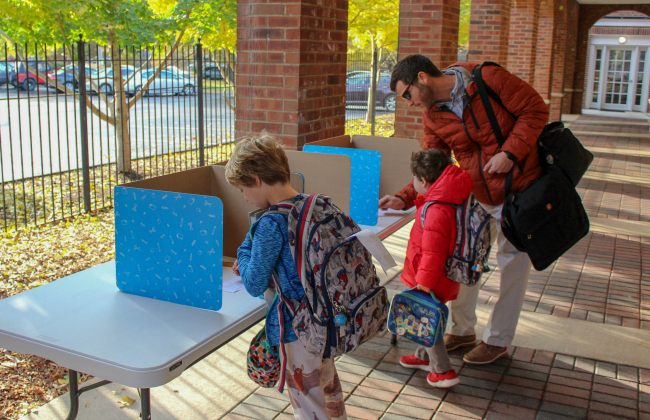 On Tuesday, November 6, Forsyth students had the opportunity to participate in an important election of their very own! In partnership with the Development Office, Mr. Ryan Howard (Grade 3) and the Student Council coordinated a student-only vote to determine the official name for the School's new water feature, generously funded by last year's 'Clue Party' and the Class of 2018. 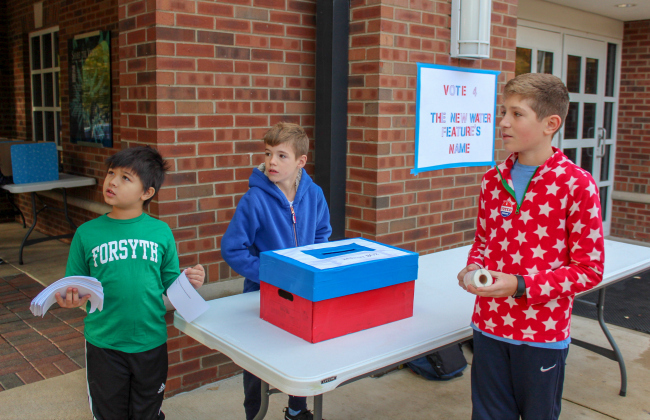 In preparation for the election, the Student Council Representatives led class discussions (with assistance from their teachers) to determine and submit one name nomination per grade level. Student Council then worked together to rank and order all nine nominations. The top three made the final ballot. 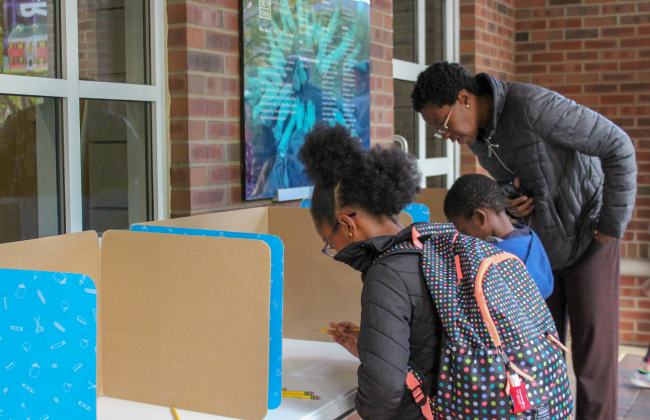 The school-wide vote was a fun and interactive connection to the nationwide midterm election happening the very same day, plus a great opportunity for conversations with our students about freedom, democracy, elections, and voting. 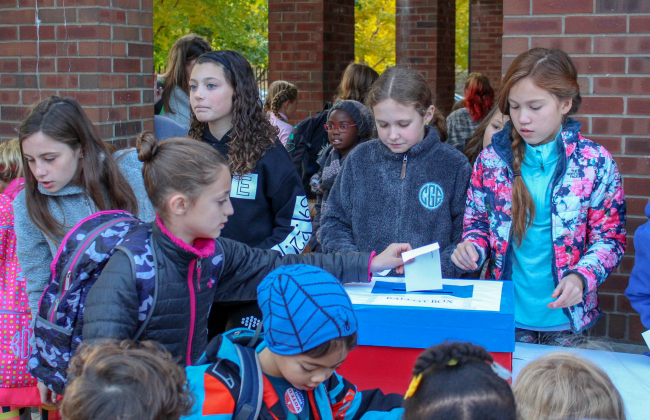 By facilitating the entire process, the Student Council members, in particular, learned about and experienced a variety of roles first-hand, including district (grade) representatives, poll workers—and even the electoral college! Very special thanks to Mr. Howard and Forsyth's 2018/19 Student Council Representatives. Signage featuring the official new name will be installed at 'Falcon Falls' later this school year.